If you are looking to hire UV lights in Cork you have come to the right place. A2B DJs specialise in providing top quality sound and lighting equipment to bars and pubs all around Cork. 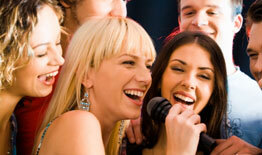 We also hire to individuals looking to enhance a party they are organising. Many people hire these lights for UV parties, Teenage Discos, theme nights and kids discos. If you are interested in hiring from us please send an email to info@a2bdjs.com to find out our prices and availability or for an instant quote text 087-9850714.